By Sia in Internet. October 24, 2016 . With the year end holidays being right around the corner, many have begun planning their holidays online. 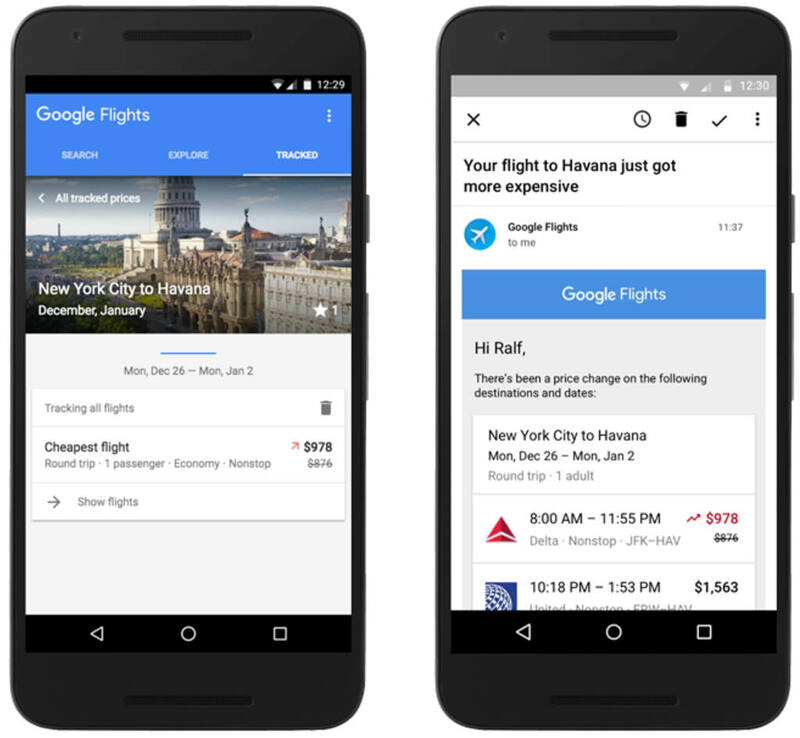 For those looking to get the best deals when it comes to flights and hotel bookings, Google has updated its Travel services that will inform you of any potential or actual price changes. Google Flights is one of the apps that has received an update. Previously, Google Flights can function as a price aggregator between airlines, allowing you to choose the best flight for you budget. 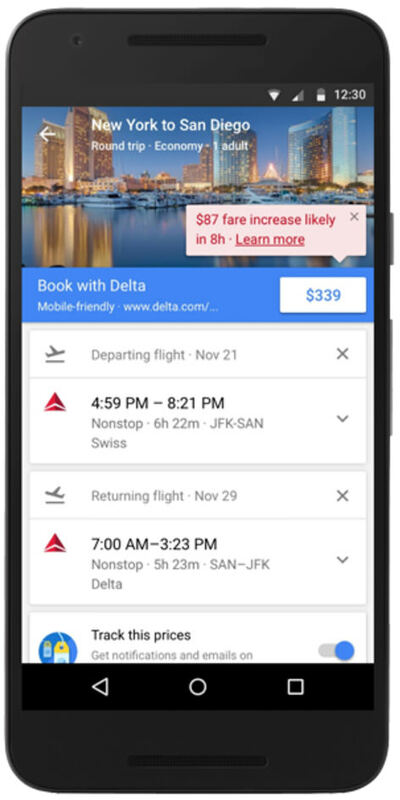 With the new update, Google Flights will now inform you if your flight is the cheapest available, expected fare increases in the near future, and the amount of money you’ll save if you book now. Using historical data, Google Flights will also be capable of evaluating multiple flight routes and travel dates to find the most affordable way to reach your destination. As for flight logistics, Google Flights will allow you to track the increase or decrease in fare, as well as manage saved flights on your phone. Fare expiration and price jump notifications will be added to the service over the coming weeks. 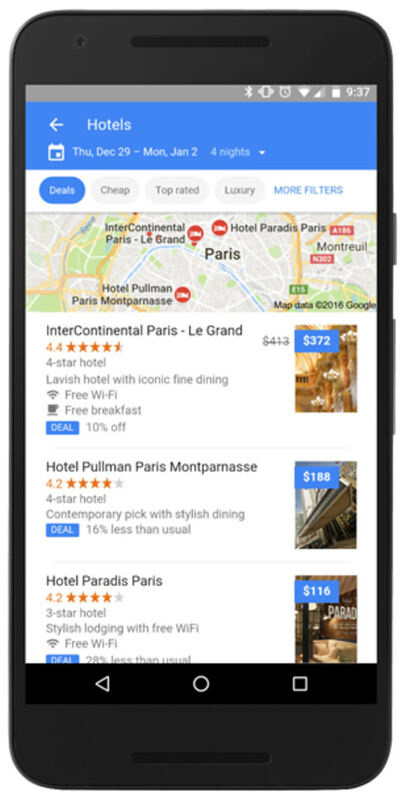 Looking for an accommodation has also been made easier with Google as the new update will allow you to filter out hotels based on any active deals available or lower than average prices based on historical pricing during your travel date. Google will also alert you if there are discounts or special offers that are available for loyalty members.